After experiencing a loss in sales in the UK, Kit Kat has doubled its media spend this year with the launch of a £10m multimedia campaign. Keeping in line with its famous “Have a break” slogan, Kit Kat launched its global campaign - “Celebrate the Breaks” - during the first week of February. The campaign mainly focuses on a TV advert which showcases and celebrates the various ways people can have a break with a Kit Kat. In addition, social media has played an integral part in promoting the brand’s latest venture. So has the brand’s campaign been a sweet success? YouGov’s BrandIndex tool was used to measure whether the chocolate bar’s “Celebrate the Breaks” campaign has played out well among consumers by measuring its Buzz score (whether respondents have heard anything positive or negative about the brand in the last two weeks). The data shows that the campaign has had a positive effect; scores peaked at 5.5 by mid-March (up by 2.5 percentage points). If we take a look at the brand’s Ad Awareness metrics, which assesses whether a respondent has seen or heard a brand’s advert in the last two weeks, what we see is a gradual increase in scores since the campaign launched in the beginning of February. 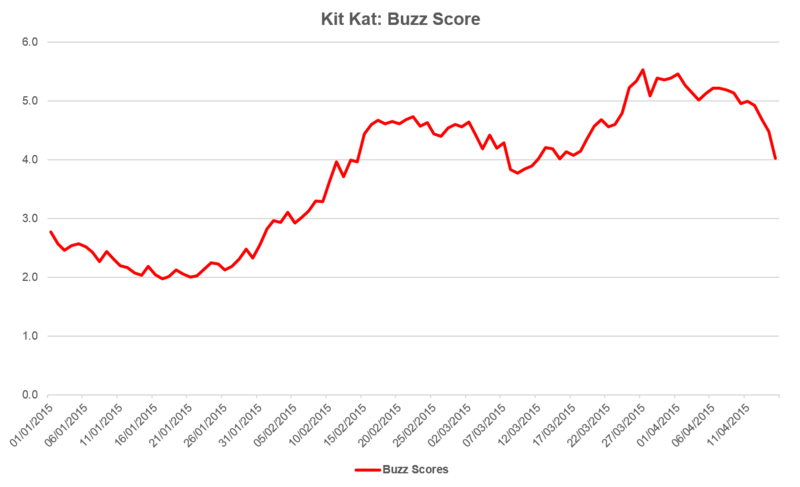 Its Ad scores started from 2% and reached a peak of 7.9%, indicating that the money spent on the new campaign has so far been worthwhile. 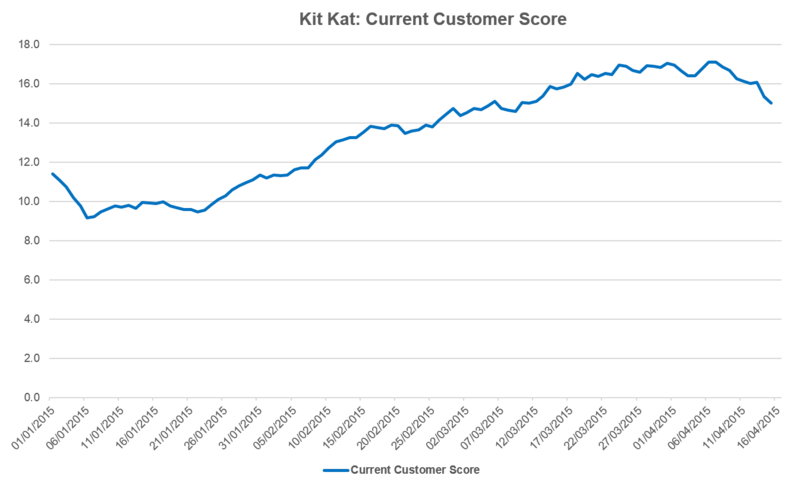 Over the past two months, the campaign has sent the percentage of current Kit Kat’s customers - which measures whether a respondent has made a purchase from the brand in the last 30 days - from 11.2% to a peak of 17.1%. This suggests that the campaign has generated some sales for the brand. 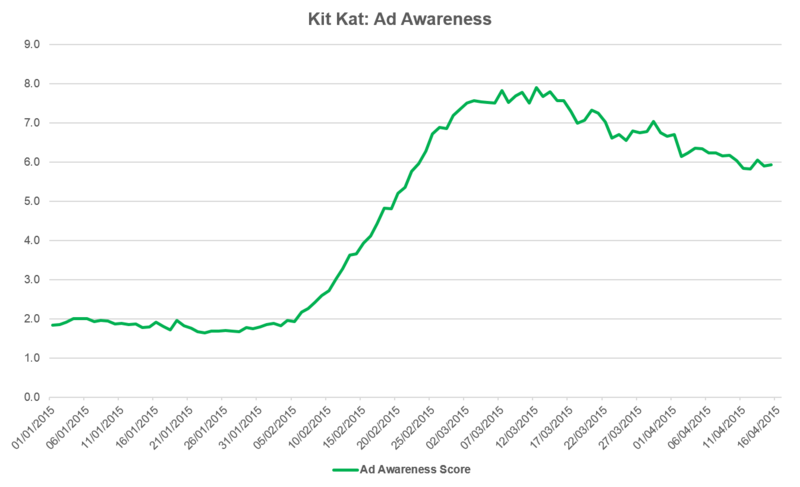 Despite the sales drop in recent years, there is no doubt that Kit Kat has achieved some success in the past two months. BrandIndex has shown that not only is the “Celebrate the Breaks” campaign memorable, the brand’s customer base has increased since the advert launched. However, only time will tell whether Kit Kat’s campaign will help the brand in the long term.